Mix the oil with the soy sauce, rosemary and pepper. 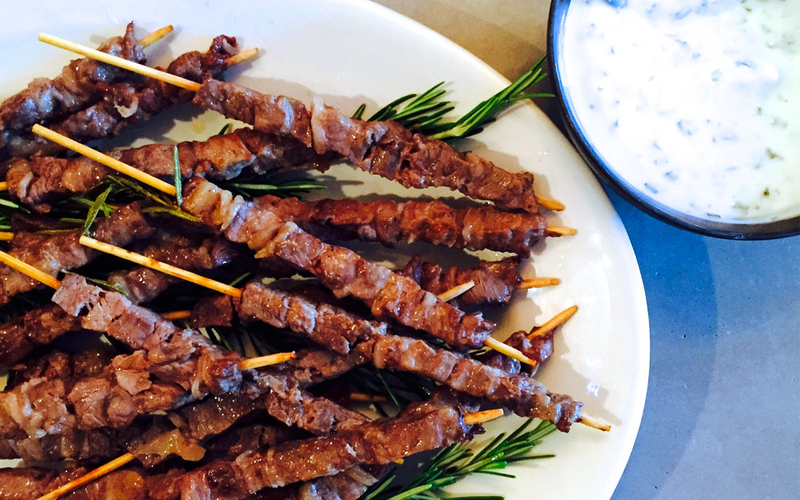 Place the skewers in a baking dish and marinate them with the mixture for 30 minutes. Preheat the oven at 392°F, turned on conventional (static) mode. Chop both chives and parsley finely. In a bowl mix the yogurt, half lemon juice, chives and chopped parsley, the whole garlic clove, salt and pepper. Put the skewers in the oven with their marinade for 10 minutes. Serve them warm with the yogurt sauce.